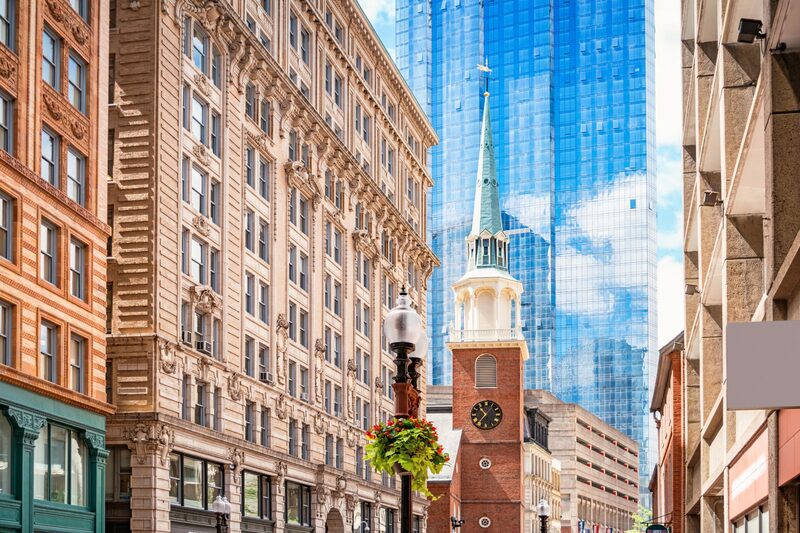 Boston is one of the world’s most walkable cities, and Marriott Vacation Club Pulse® at Custom House, Boston, is a great home base for exploring the area’s rich heritage, tourist attractions, shopping and dining. Every year during the holidays, my wife and I use Vacation Club Points to stay at Marriott Vacation Club Pulse at Custom House, Boston. During our visits, the city’s diverse and historic attractions are right in our backyard. 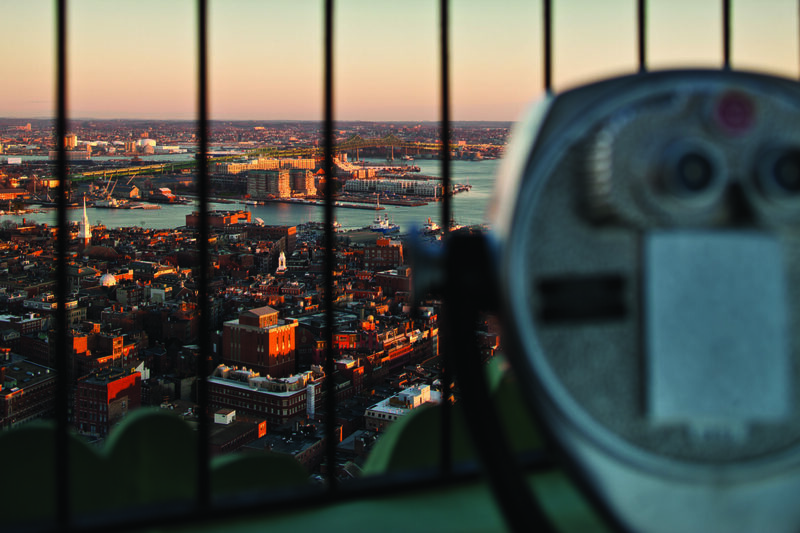 In fact, we can see many of them from the 26th-floor observation deck of the property’s clock tower — including the Boston Harbor, the Rose Fitzgerald Kennedy Greenway and the historic North End. For resort guests, the surrounding area is easy to scope out from above and then explore on foot. From the north side of the observation deck, you can peer down at the popular Faneuil Hall Marketplace. Just steps from the Custom House Tower, the marketplace offers myriad shops, including local favorites like Newbury Comics and national retailers like Urban Outfitters and The Gap. You’ll also find restaurants and an indoor food hall with every grab-and-go cuisine imaginable. Ever-present street performers adorn the plaza in front of Faneuil Hall, which was built in 1742 and the site of early protests that led to the American Revolutionary War. Our winter visit was highlighted by a night stroll through a cheerfully illuminated promenade to the marketplace’s 60-foot Christmas tree, which periodically came to life with a light and sound show. The whirling Greenway Carousel, close to Faneuil Hall, features unusual riding animals including lobsters, codfish, a barn owl and other species native to Boston. It’s a festive option for family fun at any time of year. As you continue to stroll clockwise around the observation deck, the Rose Fitzgerald Kennedy Greenway will come into view. The linear park — where an ugly elevated highway once stood — stretches from the North End to Chinatown. From the resort, you can enter the North End via the Greenway’s Christopher Columbus Waterfront Park (that round patch of green you can see from the north side of the observation deck). 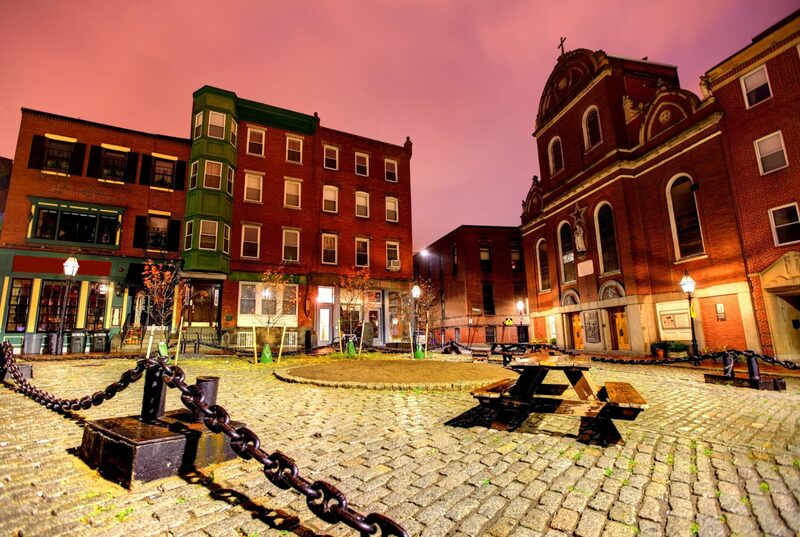 This historic neighborhood is home to the Old North Church (of “one if by land” fame) and Paul Revere’s house. But it’s also known for offering block after block of fine Italian restaurants, bakeries and shops. The Freedom Trail, which traces the roots of the American Revolution, cuts through the heart of Little Italy before crossing the Charlestown Bridge to the Bunker Hill Monument and the Charlestown Naval Yard, home to the U.S.S. Constitution, a.k.a. Old Ironsides. The view to the east of the observation deck is dominated by Boston Harbor, including the sprawl of Logan International Airport and the Boston Harbor Islands. You can technically reach them on foot, with the help of the seasonal ferry service that departs right from Long Wharf. 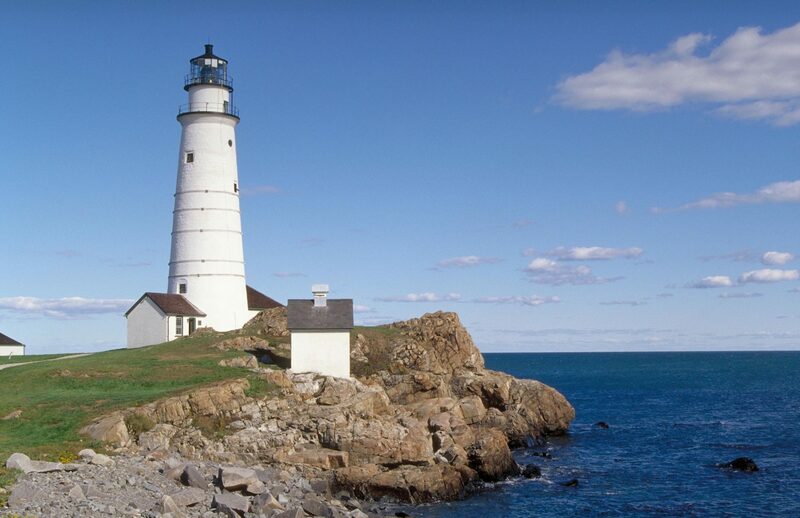 Exploring Fort Warren on Georges Island and the Boston Light — the first lighthouse built in the United States — are a couple of our favorite summer day trips. You can plan your visit at the Boston Harbor Islands Welcome Center located on the Greenway. Closer to the Custom House Tower is the New England Aquarium and its IMAX theater. The aquarium’s four-story, 200,000-gallon coral reef exhibit is home to a colorful parade of reef fish, sharks and celebrity shell-dweller, Myrtle the green sea turtle. We like stopping by the aquarium to say “hi” to the harbor seals in their outdoor habitat, even on days when we’re not buying an admission ticket. As you turn your gaze south from the top of the clocktower, you’ll see another sliver of the Greenway and the Boston Harbor Hotel with its unmissable arched entryway. Beyond that is the curve of the South Boston waterfront. During our most recent visit, we took a pleasant walk south on the Greenway to Seaport Boulevard, which crosses Fort Point Channel into South Boston. 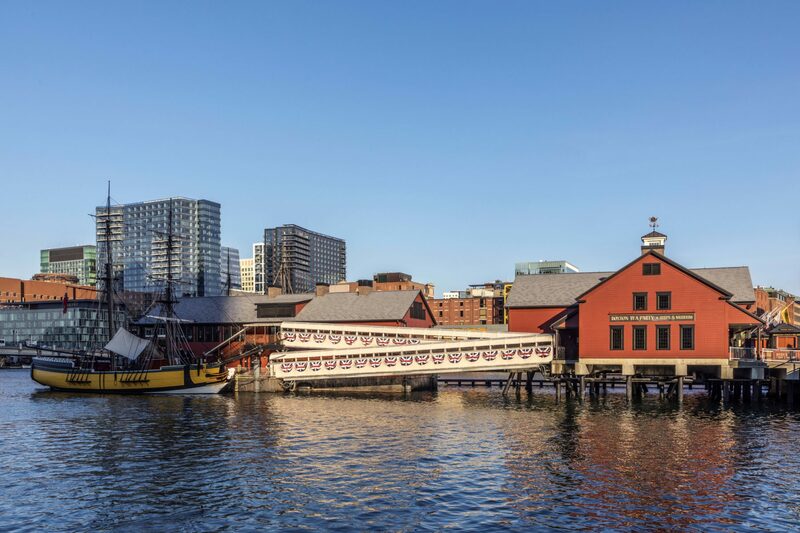 In this neighborhood, you’ll find the Boston Tea Party Ships & Museum — in the middle of the channel, actually. You can also visit the Institute of Contemporary Art/Boston or attend summer concerts at the Blue Hills Bank Pavilion. Don’t forget to stop by one of the local breweries, Trillium Brewing Company or Harpoon Brewery — the latter is our favorite place in Boston to get a pretzel and a beer. The view from the final point on the compass, of downtown Boston’s skyscrapers to the west, may be the least inspiring panorama. But you can catch a glimpse of the Old State House, dwarfed but not diminished by its loftier neighbors. 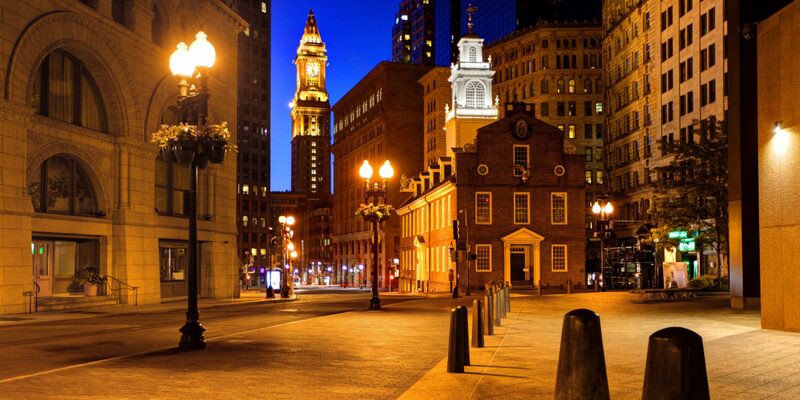 This historic structure was built in 1713 and was the site of the Boston Massacre in 1770. It’s also where the Declaration of Independence was read to the citizens of Boston in 1776. From the Custom House Tower, it’s only a few hundred feet to the Old State House, where you can pick up the Freedom Trail and walk to the Old South Meeting House and the Granary Burying Ground (where Paul Revere, Samuel Adams, John Hancock and the victims of the Boston Massacre are interred). The Freedom Trail ends at Boston Common, which is a little more than a half-mile walk from the resort. During our annual Freedom Trail stroll, my wife and I always add a few detours along the way: the Boston Public Garden to see the swan boats and the “Make Way for Ducklings” statue; Downtown Crossing for some shopping; and J.M. Curley, a bar and restaurant honoring a legendary Boston mayor that also serves the best burgers and hand-cut fries in town.